Charcoal is notoriously difficult to control. That’s why you end up with your chicken burned on the outside, but still raw on the inside. If you want your food grilled to perfection you need to control the temperature, so it’s hot enough to cook, but not to hot that it burns. On top of that you may well want to cook different recipes at different heats. For example, you will want to cook a steak on high heat, so that it is seared on the outside, but still nice and pink in the middle. Whereas, as we mentioned above, something like chicken (or pork) needs a lower, more even temperature so that it is cooked through. A food guard creates a layer of protection between the food and the flame meaning that a barrier is formed. This slows down the cooking process. Basically, the barrier of the aluminium foil means that the food is no longer on the direct flame or the direct heat. This is a kind of emergency solution. When the temperature is too high and you need a quick fix, this is the perfect solution. All you have to do is to grab some aluminum foil and fold it in the same way that you would fold a letter that you would place inside and envelope. Really, it doesn’t matter too much how you fold it, but we would recommend that the foil is three layers thick as this is what is really required to have a significant impact on the temperature reaching the food. Layering the charcoal to create cooking zones or areas takes some preparation before firing the grill up, but it really makes a lot of sense and makes life a lot easier for you. The idea is simple, whether you set it up from back to front or left to right. Area 1 is the hot area for sealing and searing. Basically anything that needs to be cooked at high temperature. Then your second area is for food like chicken that needs a lower temperature. This is the medium heat area for cooking. Finally, the third area is the control zone. This is a completely heat free zone which you will mainly use for resting the meat or if the other areas get a little too hot and you need to re-adjust the temperature. To do this is a lot easier than it sounds. It’s simply about layering the coals. On the far right in the control area do not layer any coals. In the other two zones place a layer of coals and spread or rake them out flat. Finally, on the far left (in the hot area) put a second layer of coals and rake them out flat. This means that the two layers of coals will be hotter than the single layer of coals which will again be hotter than the area without any coals. Simple! This method to control the temperature on your charcoal grill is definitely the easiest to understand. The science behind this is simple: the closer the food is to the coals, the hotter it will be. So, if the food you are cooking needs a higher temperature, move the grill plate closer to the coals. If the food you are cooking needs a lower temperature then you can move the grill plate up a few grates so that it is further from the coals. We have previously done a full piece on using the vents to control temperature on a grill. However, we will give a quick summary here. If you want more details I would advise you to read the previous article. The general principle is that more air creates a hotter fire and less air creates a cooler fire. So, in turn, it is logical to open the vents further to allow more air in. There are two types of vents – the intake damper and the exhaust damper. The best advice is to experiment with one vent at a time, record the temperature and make marks on the handle with a permanent marker so that you know what setup works best for you. There we have it, 4 techniques to control heat on your grill. Now you have a choice to make, as to which of these you use. You can decide to use some of these techniques or use them all in conjunction. Don’t be scared to experiment. 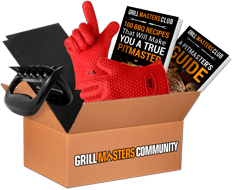 Have a go, try a few different things to work out what is the best setup for you and the recipes you like to cook on your grill. Don’t forget, if you ever need any grilling advice we are here to help. Join our ever growing community of BBQers just like you. Get recipes, videos, tricks and tips and so much more every day. 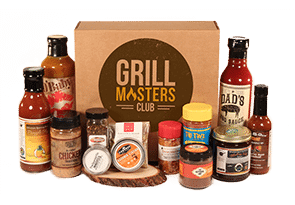 Join now and we will send you a bundle of BBQ accessories absolutely FREE. Click Here for your Free Goodie Box!